Dubbed North Carolina‘s “Queen City” and full of fun stuff to do, Charlotte is the hub of Mecklenburg County and its surroundings in South-Central North Carolina, as well as many parts of South Carolina. The city’s skyline may seem intimidating at first, but once you settle in, you’ll find that Charlotte has something for everyone. Even if you’ve been before, let’s take a look at why you need to spend a weekend in Charlotte, to at least get a feel for North Carolina’s largest city. Check here for best pricing and availability on Charlotte hotels! Our Thoughts and Yours too! This article was originally created on June 20, 2018. It has been maintained and updated (as of August 20, 2018) to reflect current viewpoints and North Carolina travel trends. Charlotte’s backstory is pretty cool and here are a few things you need to know. Before it was a massive city, the area was inhabited by Catawba Indians. Today’s Tryon and Trade Streets are two remnants of a prominent Native American path. More recently, the city was part of America’s first gold rush, and Charlotte is still a place of wealth and commerce. 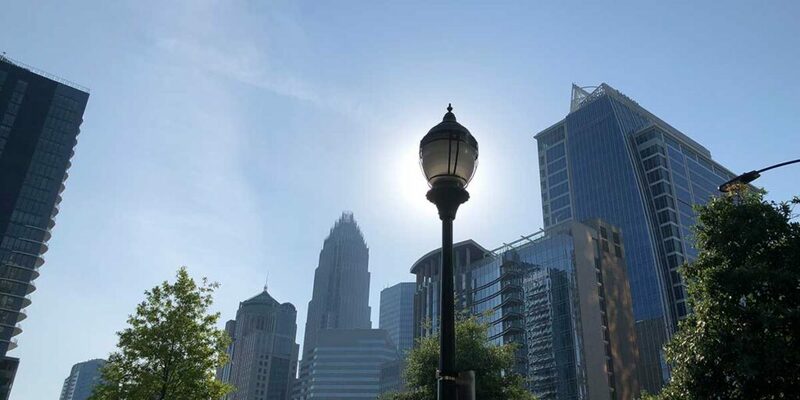 Many financial institutions use Charlotte as their headquarters, so the capital that once flowed in and out of Charlotte is still very much here! It is one of the country’s largest banking centers, with Wells Fargo and Bank of America headquarters in Charlotte. Spring (March-May) and Fall (September–November) are the best times to visit Charlotte, as the city is less crowded and you can get a great deal on hotels. 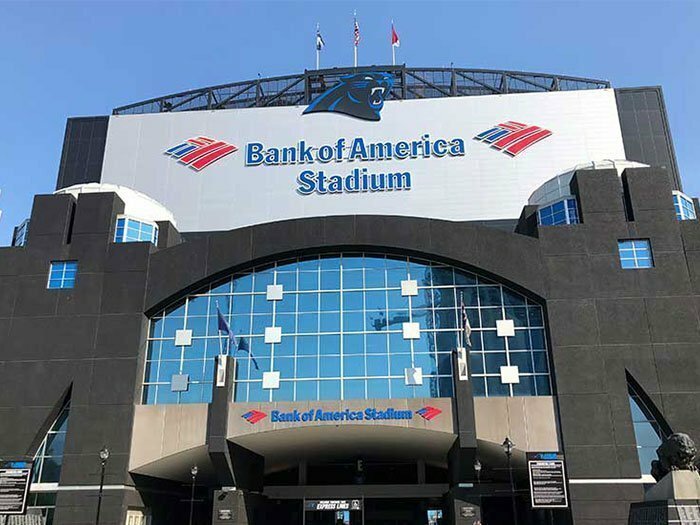 Keep in mind, the NFL’s Carolina Panthers home games may impact travel during the fall, but a trip to see them is another reason to visit Charlotte! While some of the top attractions in Charlotte do extend their hours during summer, this tends to be the busiest and hottest time of the year. Heading to the Queen City in the winter? No worries! It’s mild and snow is rare, but don’t count it out. Regardless, there are many winter days when Charlotte temps hit between 50–60 degrees Fahrenheit. To really get a feel of what it’s like to live in Downtown Charlotte (or Uptown), stay at Hilton Center City. It’s one of our favorite hotels in all of North Carolina and here’s why. 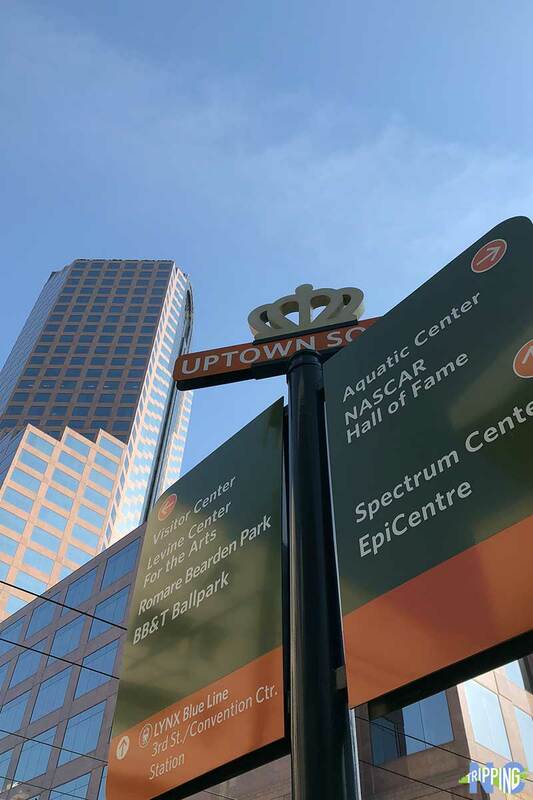 The hotel is literally walking distance from the Arts District, Charlotte’s ballparks, museums, and more (see Fun Stuff to Do). Heading to another part of the city? Lynx Light Rail stops right behind the hotel! Uptown is really the best place to stay when visiting. One more reason to book at the Hilton is for their Stay in the City Package, which is a fantastic way to enjoy Uptown Charlotte! Staying away from the area? If you want to check out life in one of the neighborhoods, we suggest an AirBnB or hotel in NoDa, Elizabeth, or South End. Check out 13 reasons why you should stay at Hilton Charlotte Center City! It’s one of our favorite hotels in North Carolina! If the Hilton is booked up, check here for the rest of Charlotte’s hotels. 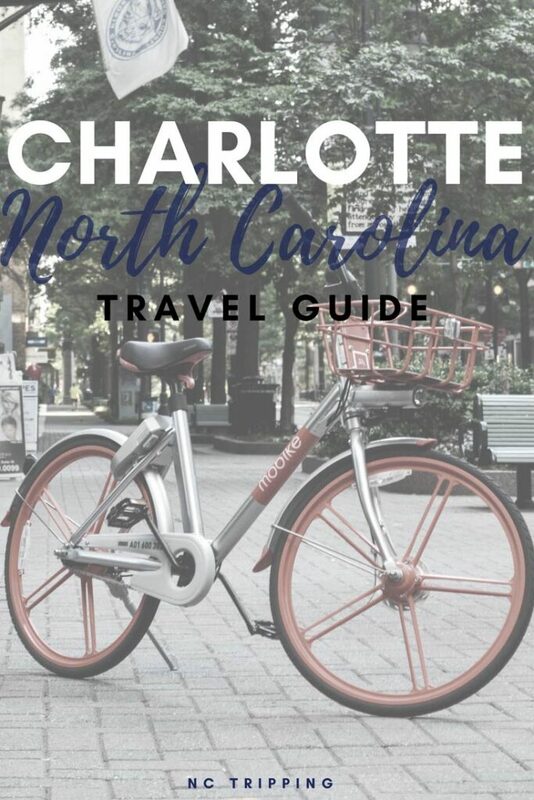 There are plenty of fun things to do in Charlotte, and we thought we’d break it down to appeal to people in search of something specific. If there’s something we’ve left out, please let us know in the comments section or by email and we’ll happily take a look at your suggestion. Looking for something to do with the kiddos? ImaginOn: The Joe & Joan Martin Center has two state-of-the-art theaters, a dedicated library space for kids 11 and under, four multi-use classrooms, a teen-only library, a multimedia production studio, and an interactive exhibit space. It’s hard to mention things to do in Charlotte for families without mentioning Discovery Place Science. It’s one of multiple Discovery Place locations, but we wanted to focus on it because it appeals to the young and even the young at heart. Just think about what fun you can have at an interactive science museum with an indoor rainforest! We included Discovery Place Science and other Charlotte museums among the best in the state here. It also featured in our guide to winter things to do in North Carolina! With the Hornets (NBA), the Panthers (NFL), the Knights (MILB), and the Checkers (AHL), Charlotte really is a big sports town. 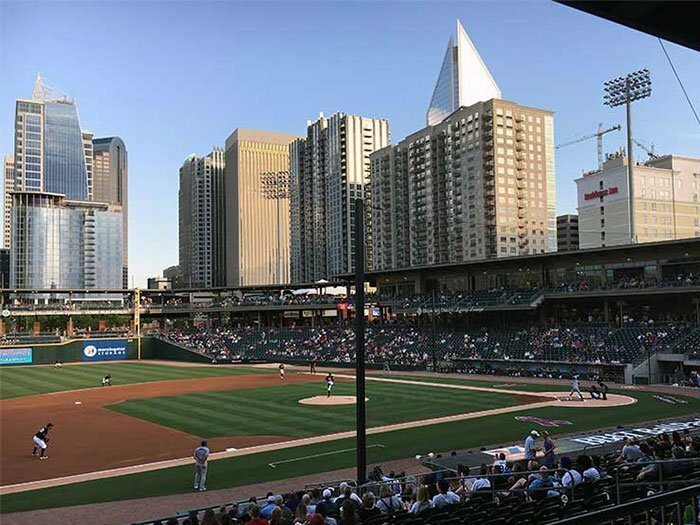 Out of them all, BB&T Ballpark—home of the Knights—is one of the best places to catch a game. Just try and grab a seat on the third base side, so you get a view of the city’s skyline during each inning. And if you thought we’d talk about Charlotte sports and not mention NASCAR, think again. NASCAR Hall of Fame is in Uptown and Charlotte Motor Speedway is just a short drive away in Concord, Cabarrus County (see below). There are so many things to name for art lovers coming to Charlotte. 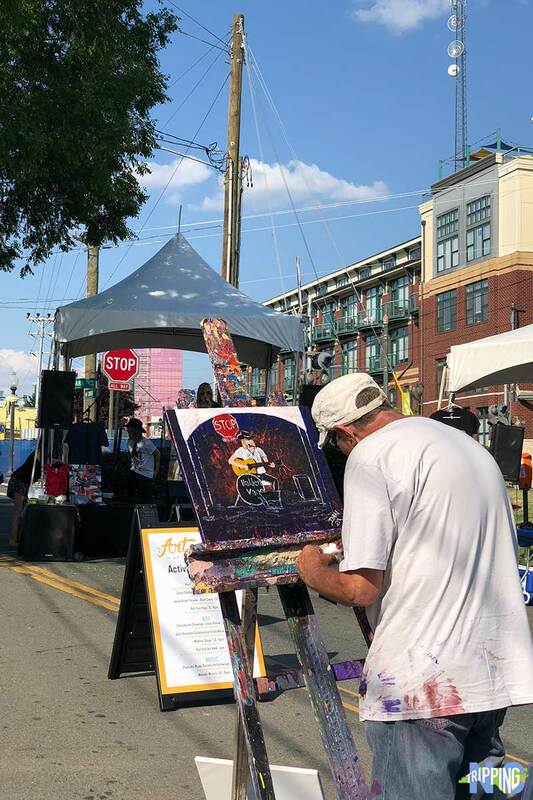 You have to check out The Levine Center for the Arts in Uptown, the street art and art galleries in NoDa, and join a Gallery Crawl in South End, for starters. As you can see, the arts are alive and thriving in the Queen City. Want to catch a show? Dress your best and catch a Broadway performance at the Blumenthal Performing Arts Center or jam your night away at the Neighborhood Theatre. You can find Blumenthal and more ways to find the arts in our guide to winter things to do in North Carolina! Have the finest brunch buffet at The Coastal Kitchen and then finish it up with a macaroon across the street at Amelie’s French Bakery. The 7th Street Public Market is a perfect place to grab some lunch. Vendors change, so every visit to the market will be a new one! 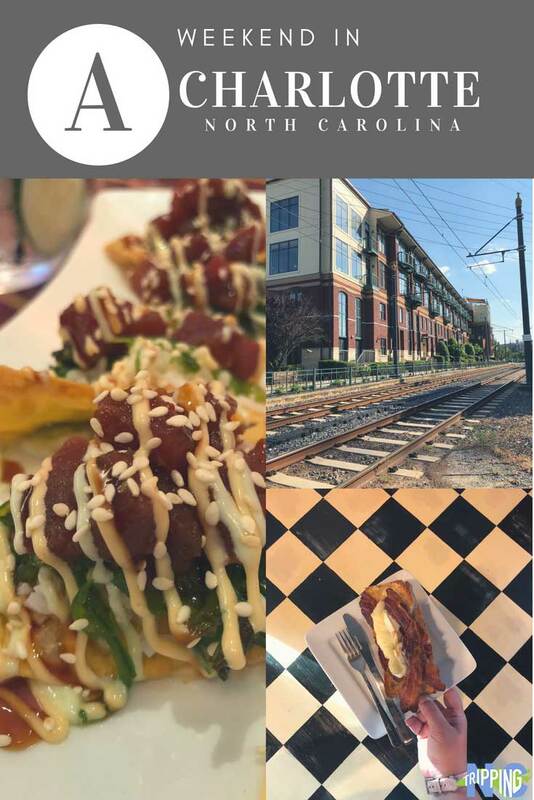 We even mentioned a couple of places there (Hazelnuts and Rico’s Acai) in our guide that covers healthy places to eat in Charlotte. And if you’re starting in Historic South End? Do yourself a favor and head to Holler and Dash for a Kickback Chicken Biscuit! Craving a brew with your food? 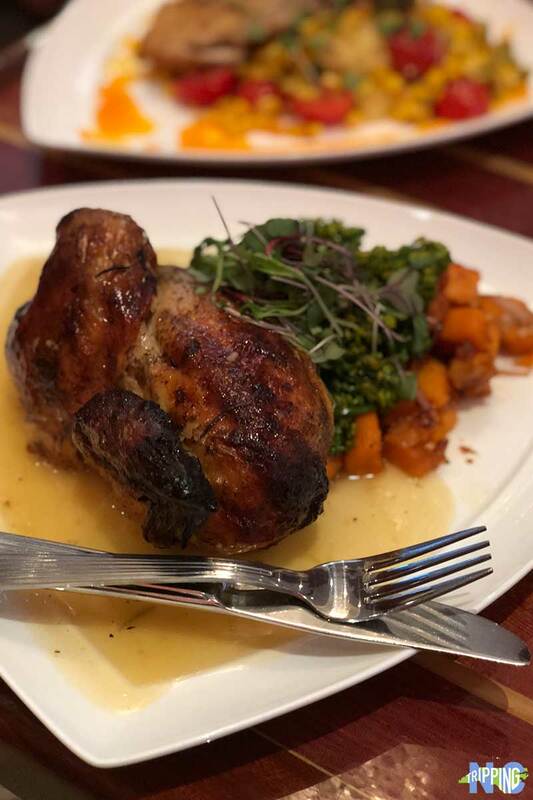 The kitchen and beer at NoDa’s Heist Brewery can quench that craving! 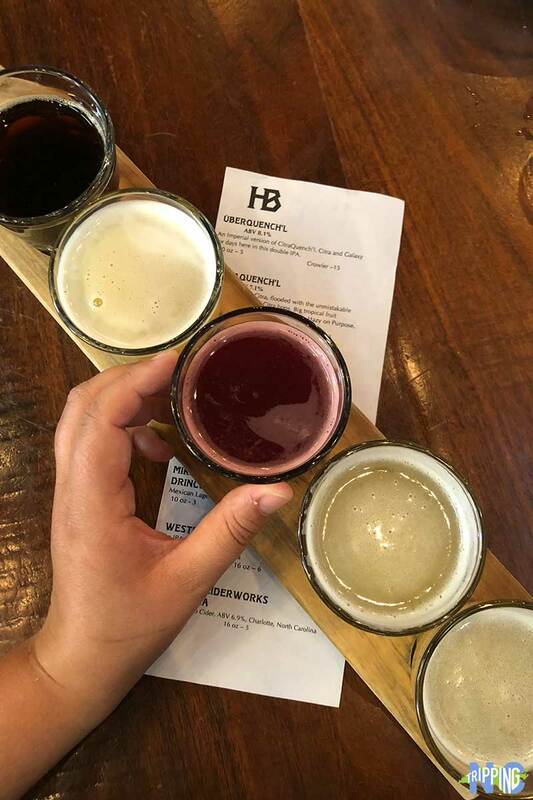 Innovative beer and a menu that serves more than just your typical bar food, (Hello, Duck Confit Flatbread!) you’ll leave more than satisfied. By the way, we’ve mentioned both NoDa and Heist when discussing our favorite North Carolina breweries. 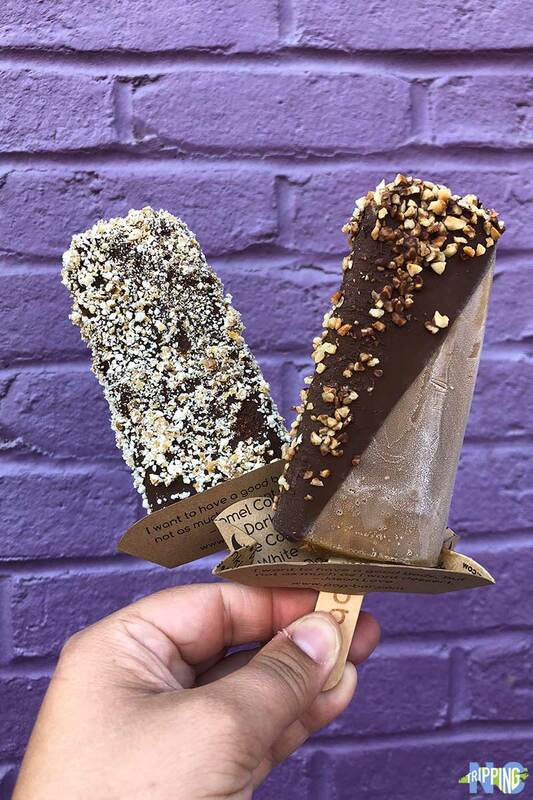 Satisfy your ice cream craving with a funky popsicle at nearby Popbar or a wild combination macaroon sandwich from Ninety’s Ice Cream and Sandwiches in U-City. And finally, if you want to sample the Queen City’s (and North Carolina’s) finest cuisine in an afternoon? You can do that by joining a Taste Carolina Gourmet Food Tour! 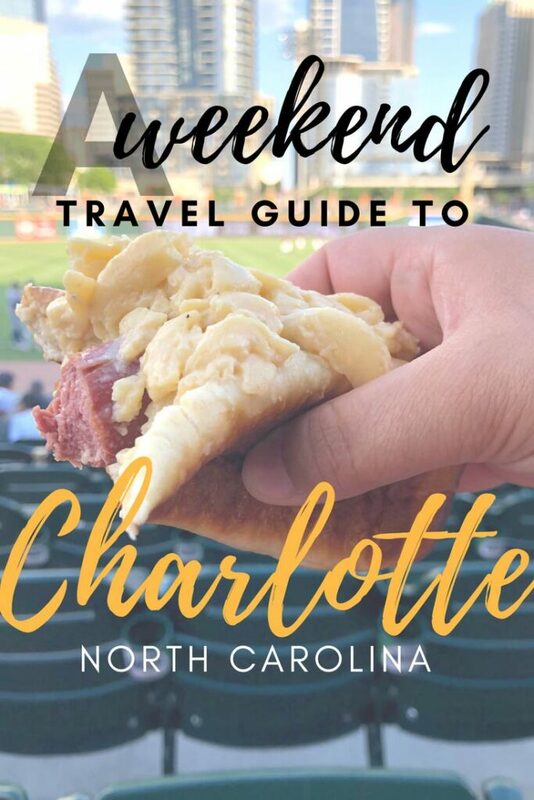 Get around Charlotte and explore even more ways to make the most out of your trip! Here are a few that we recommend. If you’re wanting to get out of the city and explore the surrounding area, we recommend heading to Cabarrus County. There is always something going on at Charlotte Motor Speedway, so bring your cooler for tailgating before catching a race or a car show. 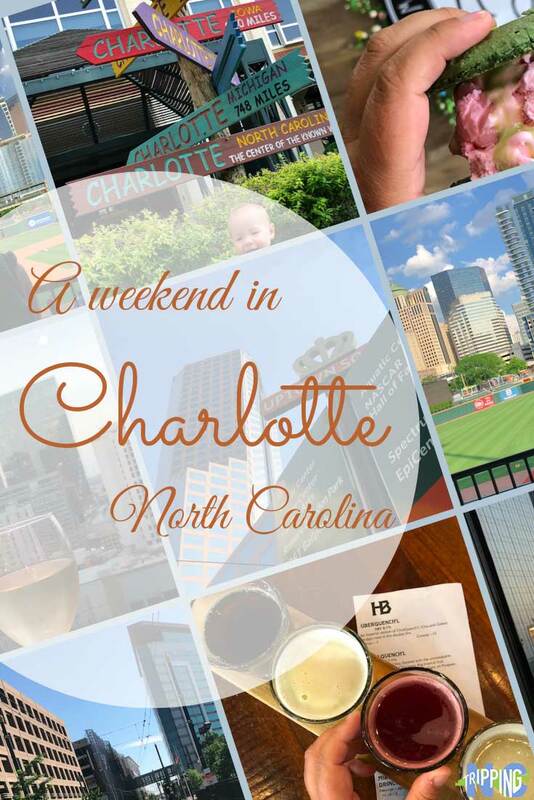 Are you visiting Charlotte with family? An entire day of family fun can be found at the Great Wolf Lodge from the water park, spa, arcade, and bowling alley. If getting lost in the wilderness if your mission, Uwharrie National Forest is your destination. Spanning over 5,000 acres, Uwharrie is filled with some of the oldest mountains in North America. There’s also undisturbed evidence of early American Indians and settlers, but we come for the hiking and scenery, too. It’s also popular for ATVs, boating, and more fun throughout the year! Nearby Morrow Mountain State Park is also fun, albeit much smaller than Uwharrie. You can hike or drive to the top for a nice view of surrounding areas on clear days. Crowders Mountain State Park is a close 40-minute drive some uptown and also boasts 11 trails for you to explore. We think Morrow Mountain is also a great place to hike during fall in North Carolina. Check our guide to that awesome place and more here! Another must see outside of the city is the US National Whitewater Center, home to the world’s largest recirculating artificial whitewater river. The center is located on the raging Catawba River and has whitewater rafting, kayaking, canoeing, rock climbing, mountain biking, zip lining, and hiking. And according to our friend Charles McCool, it’s one of the most fun places to kayak in the US. What do you think? One big event there that we must mention is Green River Revival. We mentioned it in our Things to Do in North Carolina in March. Ever been? Got another favorite outdoor thing to do near Charlotte that you’d like to share? We’d love to know about it! The Queen City really is a place for everyone. There are tons of fun things to do and learn about while hanging out there. Honestly, a weekend in Charlotte simply isn’t enough, but It’s a great start and we hope you can enjoy your time there. No matter how much you dedicate to this awesome city, have a great time and we look forward to hearing about what you did and if there’s something we should go back and explore more. 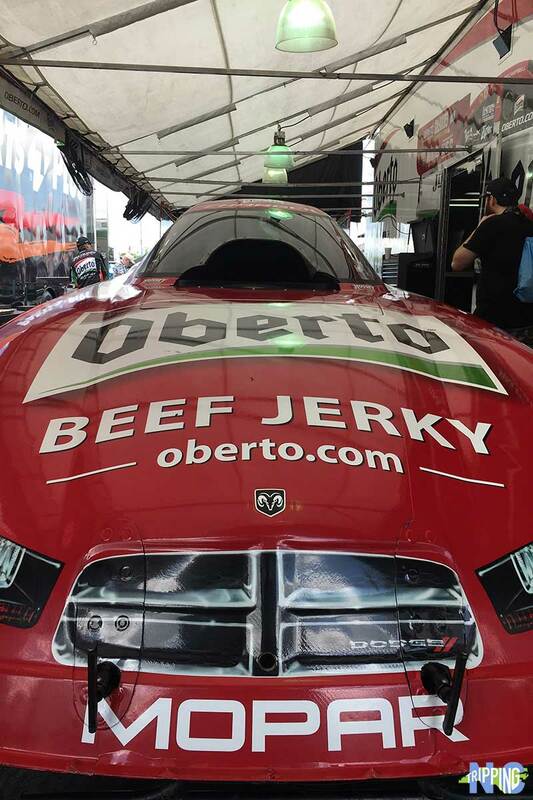 We’re already itching for a return trip to Charlotte, so you may see us there! This entry was posted in Travel and tagged Charlotte, Cities, Mecklenburg County, The Piedmont. Thank you for including my photo and mention about the whitewater center. Also nice to learn about other cool places to visit in Queen City! Thanks for being such a good friend of NC Tripping, Charles. Hope you can make it back to Charlotte and if you don’t call us, I’ll be sad…only half kidding. Thanks again! Charlotte looks like so much fun Carl and Christina. I knew it was home to BOA and also, one of my fave NBA players plays for the NBA team there. Michael Gilchrist as we know him from his high school days in New Jersey. He is such a nice kid. Well, man now, I guess, LOL. We are going to the southern christmas show next Friday ,wondering where to stay? Hey, thanks for reaching out! Looks like you’ll be over by Bojangles Coliseum. There’s only one hotel close to it (Golden Green), so there’s that. Uptown is only about 10 minutes away and we loved the Hilton Center City. Going back in a couple of weeks, so we might have another favorite:) Hope you enjoy the show!